To see if your ancestors came from one of the smaller towns in the district, see Other Shtetls where you will find lists of the business owners from the years 1891 and 1929. See also a History of Galicia for a general history of hte province and of the Jews in this region. The people of the region come alive in photographs and memoirs in the section Families. This section contains a number of maps that relate to the period before 1939. For Drohobycz please see the Map section for maps of the Drohobyz District and the town of Drohobycz. For a modern map of the Drohobycz area see JewishGen's Gazeteer. Main industries: Crude oil refining, chemical plants, foundry, metalworking, boilers and vessels shops, brick. 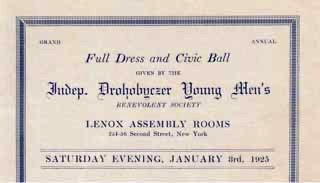 The Independent Drohobycz Young Men's Sick and Benevolent Association. For information on Drohobyczers who formed a benevolent association in New York, please see The Drohobycz Landsmanshaft in New York. This page includes a list of members of the Association which may be useful for those searching relatives from the town. For more help in finding your ancestors in this region, please select Genealogical Resources and Bibliography. Drohobych [Ukr], Drogobych [Rus], Drubich (Yid.). Most Jewish cemeteries in Galicia were destoyed, but some headstones have survived in one of the burial sites in Drohobycz. The names and dates below are read with difficulty because of the poor condition of the stones. The transliteration from the Hebrew might not reflect the true spelling of the name. In some cases other possible names have been suggested. Abisch, Berel? d. 1937; Apfelschnitt, Leib; Bleicher, Baruch d. 1937; Bashkina?, Roda 1884-1969; Bergmann, Abraham d. Aug. 23 1932; Beser?, Herman 187?-1937; Bolotin?, Simon 1892-1955; Bursuker? (possibly Borsuck), Abram 1885-1965; Finkel, Michel 1887-1962; Fradkina?, Sonia; Fradkina?, Faina (Lev) 1921-1959; Frierman? (posibly Feuermann or Feiermann), Leah (daughter of Elia) 1919-1972; Gerner, Oscar 1883-1957: Glasberg, Nuchim 1862-1934; Granovsoy?, Polina 1880-195? ; Hamer, Karol 1875-193? ; Hausmann, Israel 1894-1932; Händel, Sara d. Dec. 11, 1915; Hitz, Abraham d. 1932; Hirschhorn, Chaim Luzer 1867-1934; Hoffman, Aron d. Dec. 2, 1934; Horn, Phillip d. 1929, Katzler, Moses 1905-1954, Klinghoffer, Meyer 1864-1932, Kohl, Juda Leib d. 1932, Kupferberg, Lieb d. 1932; Kvas, Doris (daughter of Aaron) 1905-1952; Leichen, Moses 1887-1964; Sobel (Liebermann, maiden name) Adela 1859-1920; Lisitasa?, 1894-1958; London, ? 1894-1956; Machl, Rozia 1861-1937; Nadel, Abraham 1863-1934; Naum, Eva 1892-1942; Naum, Isaac 1927-1942; Naum, Mendel 1882-1965; Pinkas, Samuel d. 1932; Pochter? (possibly Pachter or Poczter), Senia (son of Joseph) 1932-1959; Rinzler, Samuel 1878-1937; Rottenberg, Simon; Ruhdorfer, Jacob 1871-1935; Schiffman, Samuel b. 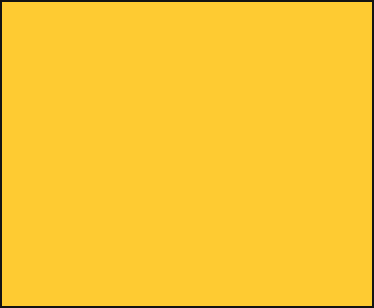 1848 d. Oct. 12, 1933; Selikowicz, Benjamin d. 1930; Sparer, Leib d. 1930; Stark, Rachel 1875-1934; Tochner, Moses 1876-1972; Tochner, Samuel 1911-1971; Vermöglich, Berl 1872-1931; Werner, Mendel 1894-1964; Weiss, Isser (son of Hyman) 1898-1967; Weiss, Moritz b. 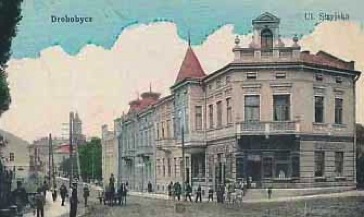 1915; Wolf, Abraham 1863-1934; Zinace (possibly Zinader), Leib 1861-1937; Zlotnik, Shloma 1888-1973; Zuckerberg, Isydor 1879-1928; Jerich, Zygmund d. 1930.